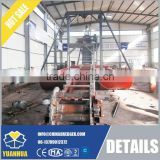 Bucket Chain Dredge is equiped with a continuous chain of buckets .The buckets are carried through a structure , The ladder (This ladder is mounted in a U-shaped pontoon.) 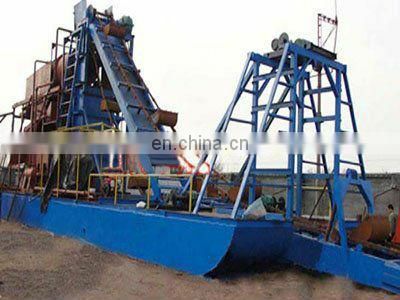 The buckets are filled on the underside, are emptied on the upper side by tipping their contents into a chute along which the dredged material can slide into the sand sieving machine to be filtered , to be cleared by washing machine and then to be delivered to the point site by discharge pump. 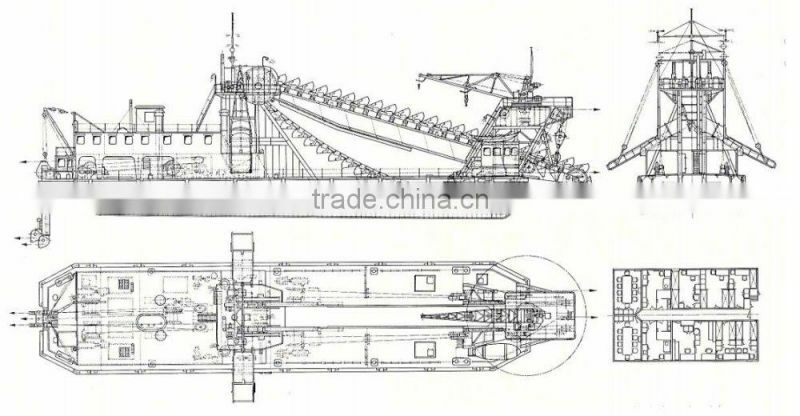 During dredging , the dredger swings round the anchor by taking in or paying out the winches forward,backward,leftwards or rightwords to move .The chain is driven by the upper tumbler at top of ladder frame, which is connected either via a belt to the diesel or directly to an electro motor or hydro motor. 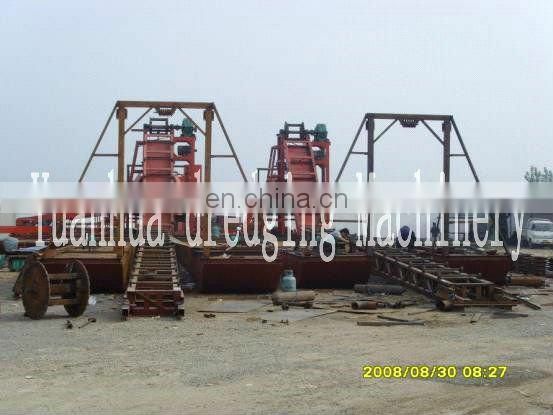 Chain dredge has a strong environmental adaptability.It can be used in almost every type of soil, from mud to soft rock. 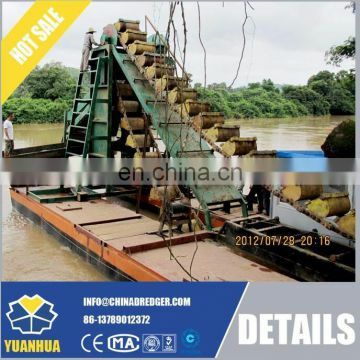 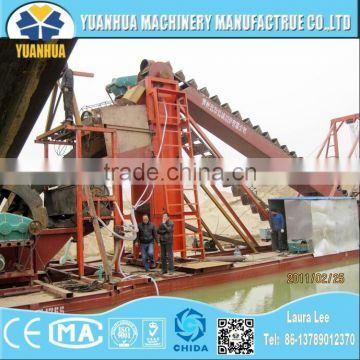 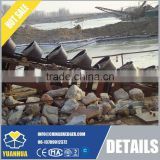 Especially dredging for construction materials such as sand and gravel, or minerals such as gold and tin ores, bucket dredgers are frequently used. 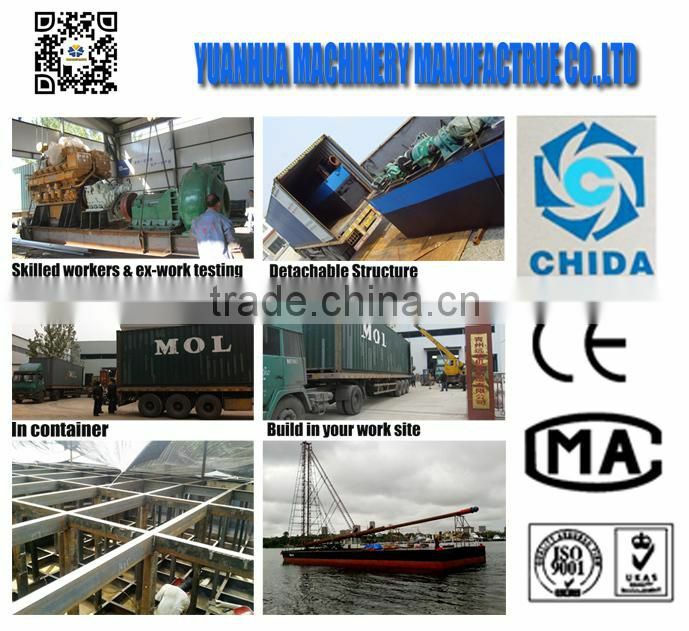 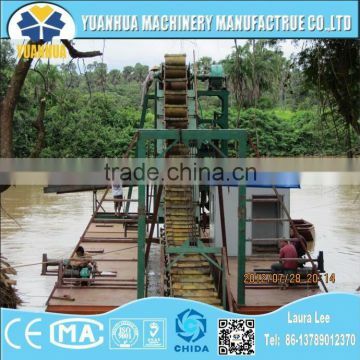 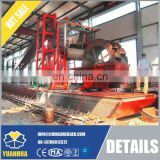 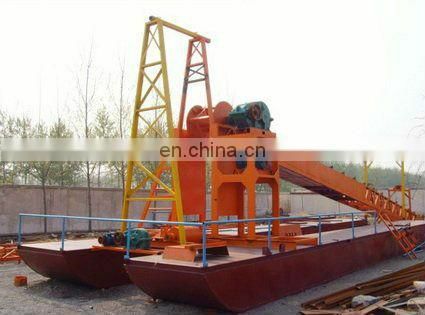 It has a large working capacity.The dredging section has a regular shape.The error is minimal.Chain dredge can be apply to watercourse dredging project as well as port and wharf. 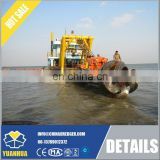 The parameters are just for reference , customised specification is available. 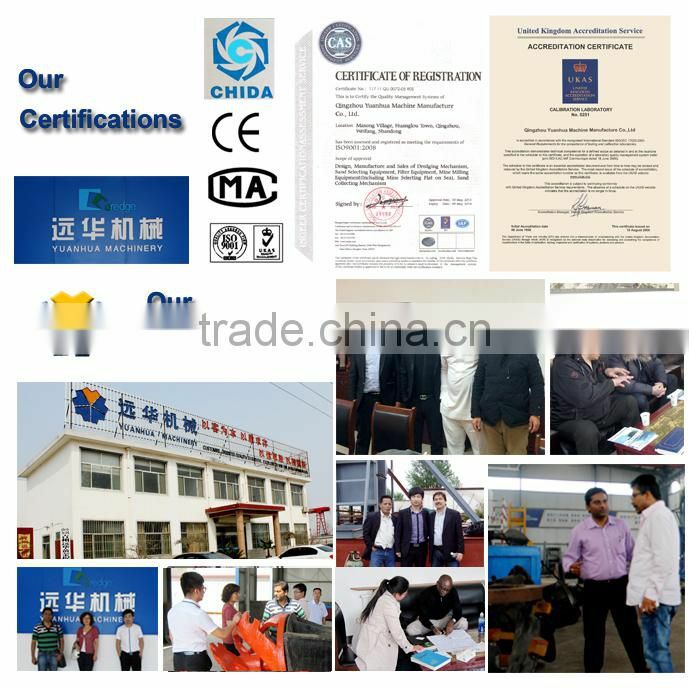 Will provide 12-months warranty for the quality of the diesel engines, generators, gear boxes, dredge pumps, Hydraulic system. 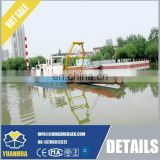 --totally up to the customer's requirement and the working environment. 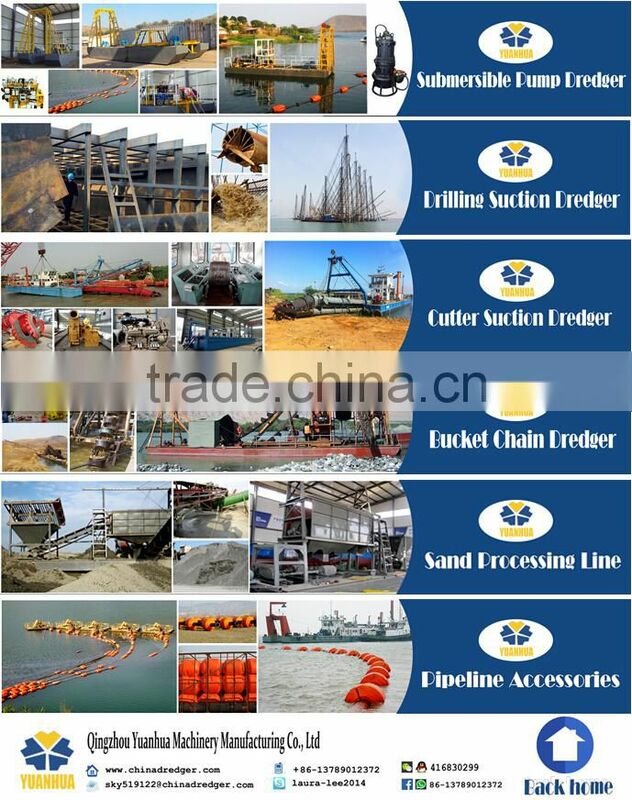 more local working condition information help to offer a best solution for your project. we would appreciate if you could provide information like the expecting productivity, dredging depth, discharge distance and so on. 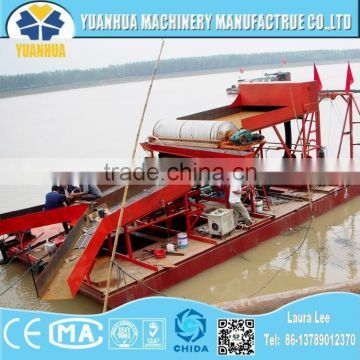 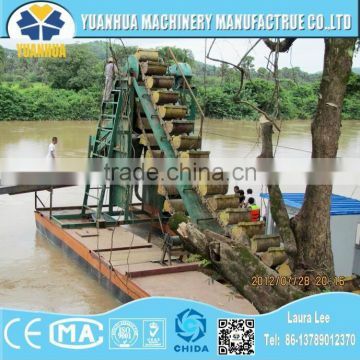 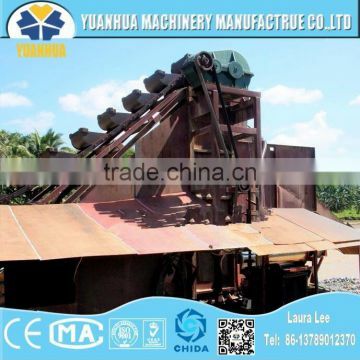 That would help to judge what kind of dredger works most efficiently in your environment. 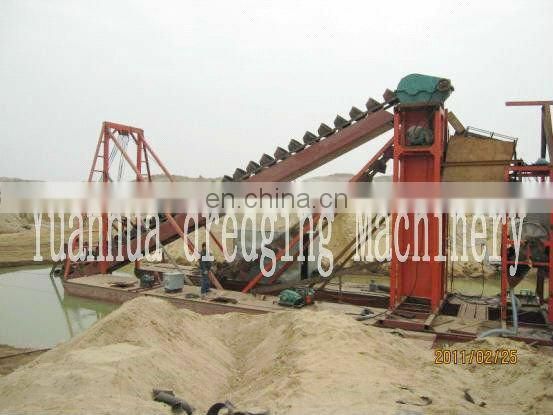 course mining of rare metals.